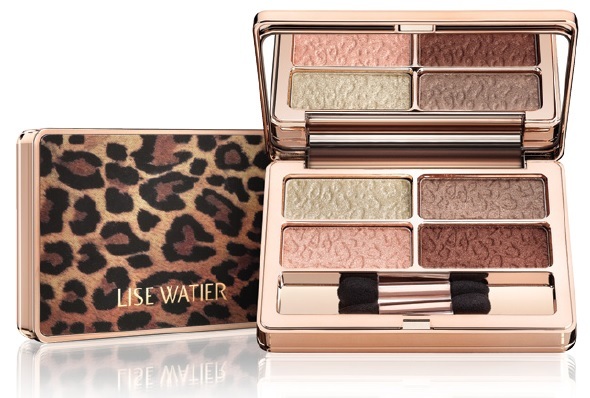 For fall Lise Watier offers up a tiny collection of limited edition products with a slinky feline motif to celebrate the free spirited woman, accentuating her individuality as well as some new classic products updated with a bohemian-chic twist. Quatuor Feline Eyeshadow Quartet - $36 - Limited Edition - combines natural shades in semi-matte and iridescent finishes with deeply pigmented colours and long wear with a super-silky formula blend of cream and powder. Feline Eyeliner HD in Brown - $20 - New and Permanent - with a soft, precise felt applicator tip to help you achieve a high-def contour line to enhance eyes. 24 HRS Glam Eyeshadow - $22 - New and Permanent - in 6 shades with finishes that range from semi-matte to iridescent: Champagne, Glam, Satin Glam, Bronze Glam, Disco Glam, Happy Hour Glam and Midnight Glam - a multi-purpose product that works an an eyeshadow, eyeliner and even a base for powder shadows. With a waterproof formula to set it in place and keep it from caking or creasing and a practical stick format with built-in sharpener that allows for precise application that makes it easy to use. Available now at drugstores across Canada - the limited edition products are available until October and the permanent ones are here to stay.